The word ‘nAra:’ generally indicates the natural authority to worship the Supreme Godhead as they wish to have it. bhagavAn is the One who is worshipped without any fear even by those who possess condemnable qualities, actions and births, merely due to having the greatest quality of developing taste in devotion. Once such people start worshipping bhagavAn thus, they shall be freed from all sins and distastes and shall be transformed into the most righteous ones, just as the sins are washed away by the flooding waters of gangA by taking a holy dip. In SrI bhagavath-gIthA, bhagavAn – while talking about the qualities – says thus: “I am equal to all the beings, and I have no love or hatred towards anyone”. In connection with actions, He says “even if the one practicing very bad things in life sings my glories with unwavering mind, he should be considered as a pious man”. About the births, bhagavAn also says, “Oh pArtha! All sinful people born of various births such as the females, vaiSyas and Sudhras also take refuge in me and attain the highest abode”. The people who follow ill deeds are not liked by bhagavAn, The statements from the scriptures such as “the ones without perseverance, peace, and composition of mind, and the ones who practice ill deeds are never dear to the Lord”. Even the brahma sUthras have concluded that people of all ASramas (brahmacharya, grihastha, vanaprastha and sanyAsa) as well as the ones without ASramas (such as widowers, and the like) are equally eligible for the knowledge about the brahman, and also indicate that all such people should have their mind under control with both internal and external restraint. There is no restriction for anyone in chanting the names of the Lord who is the natural friend and relative of one and all, who is also just like a mother who is most affectionate towards her child, under any circumstances. This freedom of chanting the Lord’s names can be seen among a multitude of prime personalities such as gajEndhra – the elephant, jatAyu – the eagle, vAyasa – the crow, vibhIshaNa – the sibling of the king of demons, the common populace of kOsala (subjects in the kingdom of SrI rAma), gOpikAs – the cowherd womenfolk, mAlAkAra – the florist at mathurA, and others. are vidhura, dharma vyAdha. Such people would be disgusted about the origin of their births that they have acquired due to their own actions (karma). This is shown by SrI Saunaka as well, thus: “Even though people like dharma vyAdha are born into lower births due to their past karmas, yet they attain the Supreme abode due to their instincts of worshipping the Lord – just as sabari attained mOksham”. A quote from the mahAbhAratha may be remembered: “Oh king of kings! dharma always purifies a person who listens about it, sees it, talks about it, practices it and approves of it”. The bhagavath-dharma (duties performed to attain the Supreme Godhead) has the power to penetrate into the minds of its beneficiary, approver as well as its practitioner. All sins are washed away when one chants His names aloud, worships Him, sees Him or prostrates before Him. 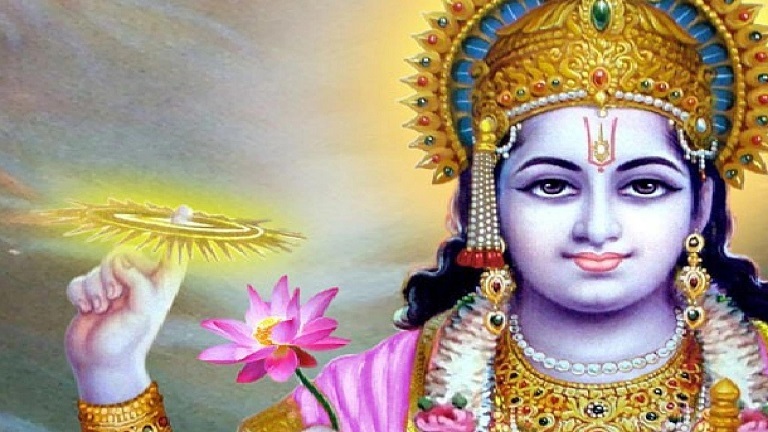 Then who will not serve the Supreme Lord hari? hari is the One who protects those who chant His names, think about Him, meditate on Him, worship Him, and serve Him. He protects them in all respects granting them immense benefits both in this world as well as the neither. He protects all those who listen about Him, read about Him, and see Him etc. Apart from these, the ithihAsa and purANas also permit even the lowliest dog-eaters to sing the glories of the Lord. bhagavAn declares this in His own words in the vishnNu dharmam thus: “nAradha! If my devotee says ‘nama:’ unto me with all sincerity, he shall attain the supreme abode, even if he is a lowly dog-eater”. Statements such as these, along with the various anecdotes, are verily the proofs that such practitioners of the bhagavath-dharma such as chanting His divine names shall gain all due respects in the society and also attain the supreme abode at the end. Since these are well established facts, there is no contradiction in these facts to what the scriptures have to say either. The usage of the word ‘sadhA’ indicates non-restriction in terms of time. Similarly, it also tells us about the non-dependency on the place of chanting, physical and mental purity while chanting, etc. Thus, a person need not see the various time units such as ayana (half year), ruthu (season), mAsa (month), paksha (dark/bright fortnight), nakshathra (star of the day), muhUrtha (the time in a day) etc. One should always chant the holy names of the wielder of Chakra – the Supreme Lord – at every time and at every place. When this is done, the person would never be impure at anytime, since the Supreme Lord Hari Himself will purify that person. When one wakes up early in the morning chanting the names of the Supreme Lord as dhEva, krishNa, and gOvindha, then he shall not see any bad things coming his way during the rest of the day. “Even if such a dharma is followed in miniscule, it protects the practitioner from great fears”. The one who chants the names of the Lord is well equipped to progress towards mOksha. If one rests his mind in achyutha – the Supreme Lord, he shall not reach the hell. To such a person, even the thoughts about the lowly heavens are a great obstacle to reach bhagavAn. Even the brahma lOkam (the highest position in this creation) turns miniscule to him. The One who resides in the unadulterated minds of such pure souls shall Himself grant the highest position of salvation unto them. Given these facts, then, what is really surprising in the fact that a person is freed of all his sins if he just sings the glories of the Lord by chanting his various names?” bhagavan gets pleased with the length of detailed worship and yields the fruits, so also He will be equally pleased with a sincere devotee who takes up the lighter form of worship – namely “chanting His names” – with a pure thought. Even if my devotee offers me a leaf, a flower, a fruit or even just water – with true devotion, I shall partake of it with the most pleased state of mind. The vyAsa smrithi says, “If a person offers a flower or just water to bhagavan by chanting the purusha sUktha, then the whole of this world (with all animate and inanimate objects) has been worshipped by him”. Penance is not faulty, studies are not faulty, natural prescriptions of vEdhas aren’t faulty. The action of restraining the mind from sensual pleasures is also not faulty. The real root of fault is at the heart, where the person lacks purity of thoughts. Schools of fish reside in the sacred rivers such as gangA. Flocks of birds reside in many temples. But, since they lack the sacred thoughts, they do not attain the fruits of being in those sacred places. Thus, the real fruits of pilgrimages and visits to holy shrines are only dependant on our purity of thoughts. Thus that which was attained in krutha yuga by severe penance, that which was attained in thrEtha yuga by extensive oblations and sacrificial rites, that which was attained during the dhvApara yuga by detailed worship, shall be attained by a seeker during this kali yugam just by singing the glorious names of kESava. This entry was posted in Other, sahasranAmam on October 22, 2018 by janani.